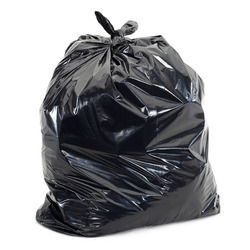 Our product range includes a wide range of garbage bags, compostable garbage bags and corn garbage bag. With our rich industry experience and knowledge, we are engaged in offering high quality Garbage Bags that are used for storing garbage. Offered bags are manufactured using top class plastic and other related material sourced from certified vendor of the market and latest technology under the supervision of highly skilled professionals. These bags can also be customized in order to fulfill their wide demands. Further, our offered bags are available in various designs and pattern and are delivered within the stipulated time-frame to our renowned clients. We are among the trusted names in the market for providing a wide range of Compostable Garbage Bags. Skilled professionals employ only superior quality plastic and other components in the designing process of offered products with following industry defined quality standards. Apart from this, we are offering our products at most economical price. 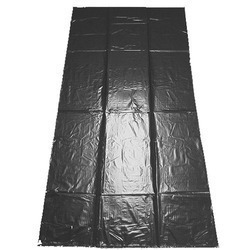 Our Company is one of the remarkable organizations for offering a wide array of Corn Garbage Bag to the customer. These products designed using superb quality production materials. For the benefits of our clients, these products are tested by our vendor’s experts to ensure quality and have high load carrying capacity. Moreover, we are offering these products at industry leading price.